AMERiders believes that everyone should be informed about certain information before setting out to ride a motorcycle for the first time. 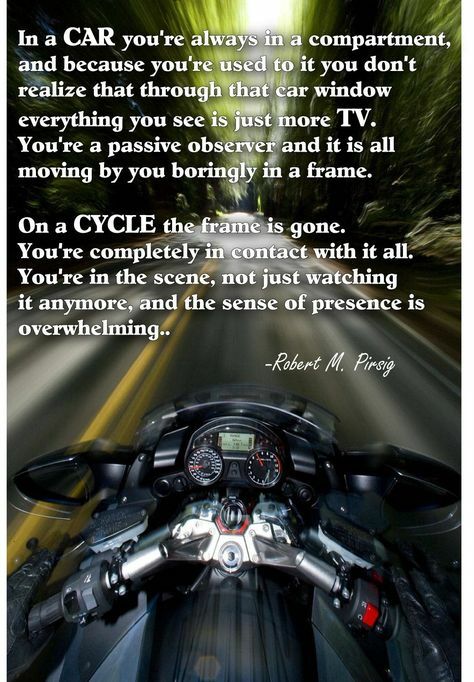 Which is why we want to give you a list of things to do before Riding a Motorcycle. 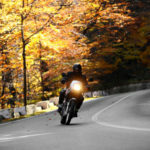 Riding a motorcycle can be intimidating at first, however, with the right approach, it can be safe, fun and enjoyable. 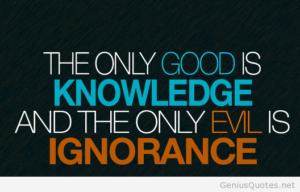 Plus, it also helps to know what you’re getting into when you decide to take the plunge. It is similar to getting your driver’s license and buying your first car. However, for some of us when we bought our first car our parents were guiding us through it. 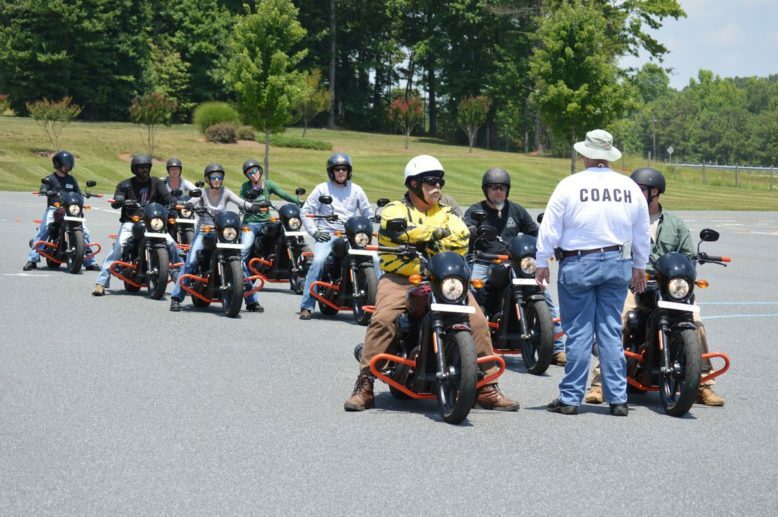 Those looking to start riding may not know a rider to get advice and guidance from. With that in mind, we have broken the process down into a few easy steps for you. This is an overview and not a detailed guide, but it should give you a good idea of what you need to do to get started. Take a Motorcycle Riding class. There are a lot of people who’ll tell you that if you can ride a dirt bike, you’ll be fine on a motorcycle. Those people are just plain wrong. There are some people who will tell you that you should just buy your first motorcycle and teach yourself to ride it with the help of some YouTube videos. Those people are complete idiots. 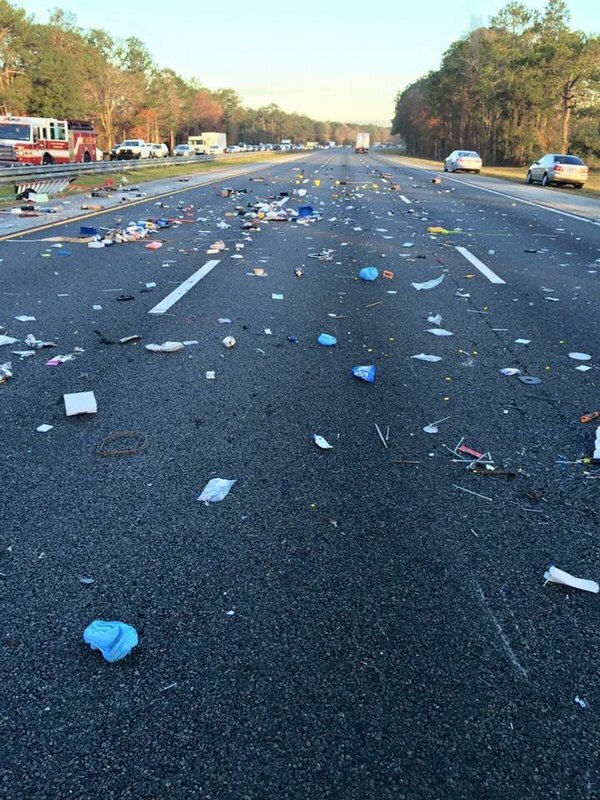 Riding a motorcycle may be a lot like riding a heavy bicycle, but young riders who don’t know what they’re doing get themselves killed. The goal of riding a motorcycle is to have fun, not to get yourself killed. 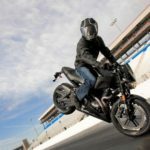 Your best chance of having fun and not getting killed is to take a class offered by the Motorcycle Safety Foundation, or local motorcycle dealership. These people know what they’re doing, and while you won’t be an expert rider at the end of your course, you’ll be competent at the basics. 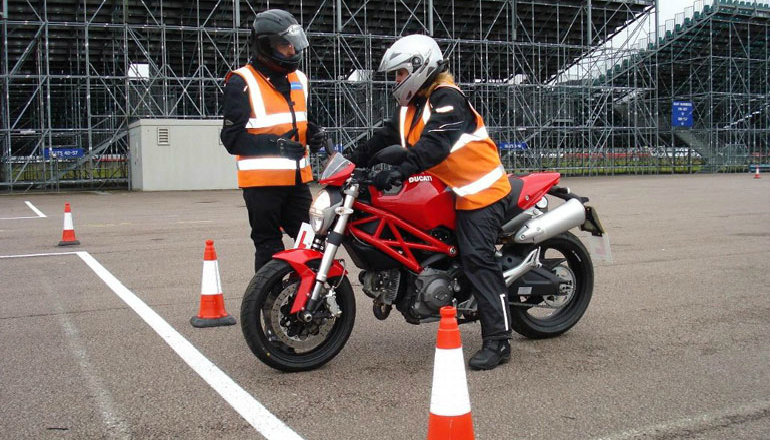 Handling a bike at low speeds and taking a corner properly are not skills that come naturally, so having people who know what they’re doing there while you practice these skills is invaluable. 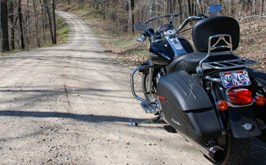 New motorcycle riders are a lot like new drivers in the sense that their lack of experience leads to a lot of wrecks. In fact, something like 50% of all motorcycle wrecks happen in the first six months for riding a motorcycle. 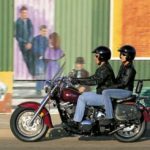 Even if a new rider doesn’t have a wreck in the first six months, a bike that’s good for beginners is going to get old quickly, and new riders rarely keep their first bikes for long. If you spend a lot of cash on your first bike and wreck it, you just wasted a lot of money. If you spend a lot of money on a bike and sell it nine months later, you’re going to have to eat some serious depreciation, and you just wasted a lot of money. Honda’s are not real expensive motorcycles. Most new riders want a bike that looks cool, but cool bikes are usually expensive and powerful, two things that new riders absolutely don’t need. There’s no hard and fast rule for how much money you should spend on your first bike, but it should be a pretty insignificant amount. We recommend spending less than $1,000, but even if you’re well off, don’t spend more than $3,000. Anything more than $3,000 is just a waste. As far as what type of bike to buy, standards and small cruisers are best for beginning riders. Motorcycle safety gear may not be convenient or make you feel cool, but it’s also the stuff that keeps you from leaving your skin on the highway or exposing your brain to asphalt. That makes safety gear incredibly important. We know that not everybody who rides wears a full safety suit, but do you know why MotoGP riders get up from wrecks looking more disappointed than dead? It’s not because the track is made out of couch cushions. It’s because they’re wearing full head-to-toe safety gear. 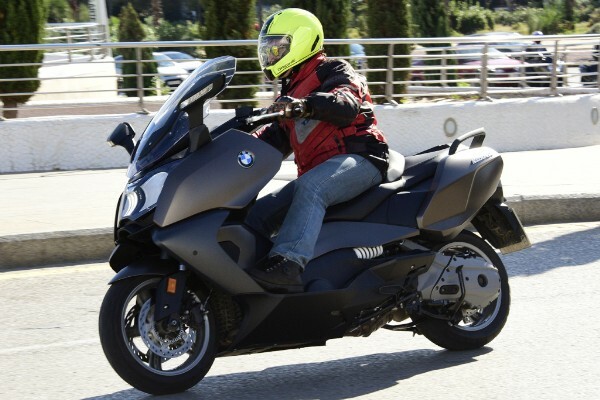 At the very minimum, even in a state where you can legally ride without a helmet, you should wear a full-face helmet, a motorcycle jacket, and gloves every time you ride. If you wreck while wearing nothing but a T-shirt, it’s going to hurt a lot worse than it needs to. You should also own and wear motorcycle pants and boots as well. 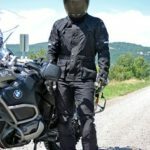 Unlike your first motorcycle, your first set of safety gear should not be inexpensive or disposable. The bike itself is insignificant, but you are not. 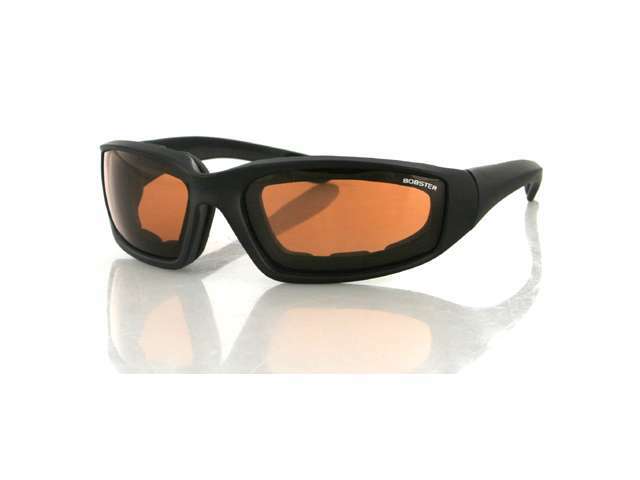 Buy quality safety gear. If you spend $1,000 on a bike and $1,000 on safety gear, you’ll be a lot better off than if you buy a $2,000 bike and wear a helmet the previous owner threw in for free. Even better, you won’t be wearing a helmet that’s still crusty with the previous owner’s sweat. 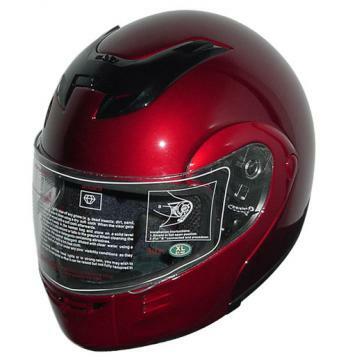 Plus you will know that the helmet you are wearing will protect you as it is new and not been bounced off the concrete or floor several times weakening the integrity of the helmet. 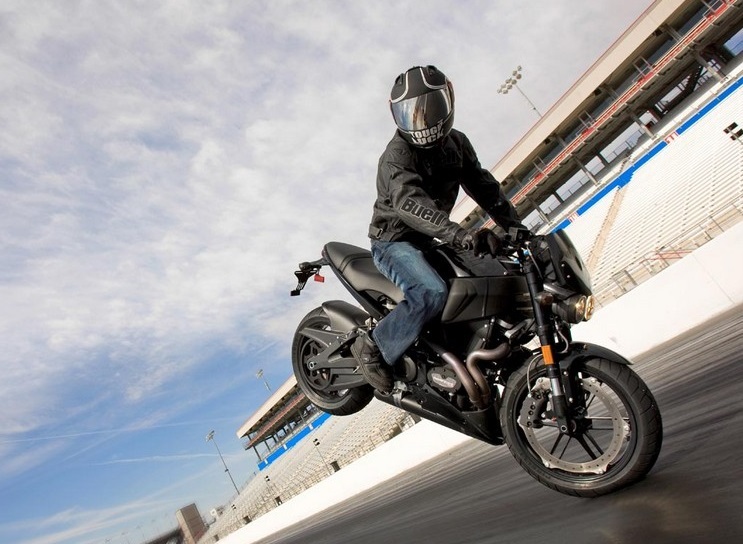 Despite the fact that motorcycles offer a high level of performance for very little money. Insuring one cost next to nothing. In fact, your yearly payment probably won’t be that much higher than the monthly payment on your car insurance. 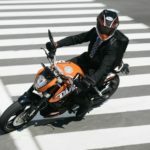 Aside from it being the law in a lot of states and a requirement to get a license, motorcycle insurance gives you additional coverage if you end up needing medical treatment from an accident. 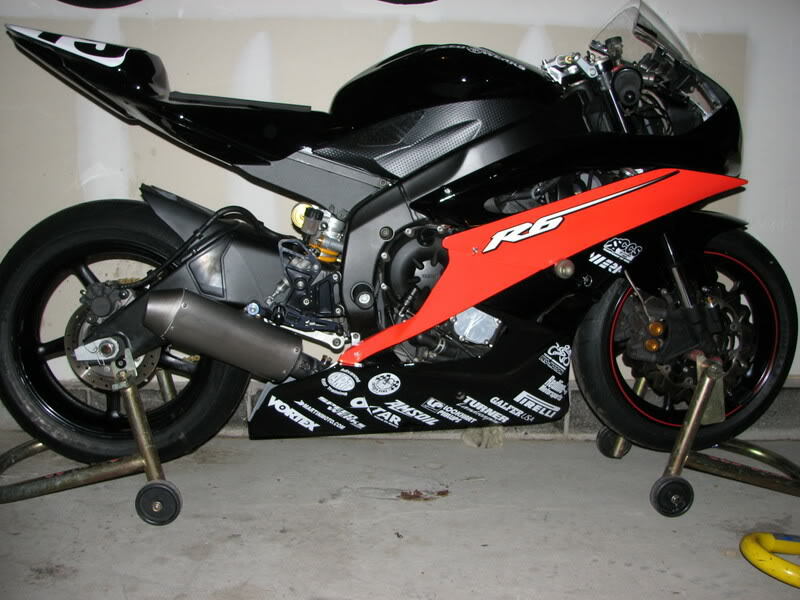 Any damage to a $1,000 motorcycle is irrelevant, but any damage to you is incredibly important to fix. 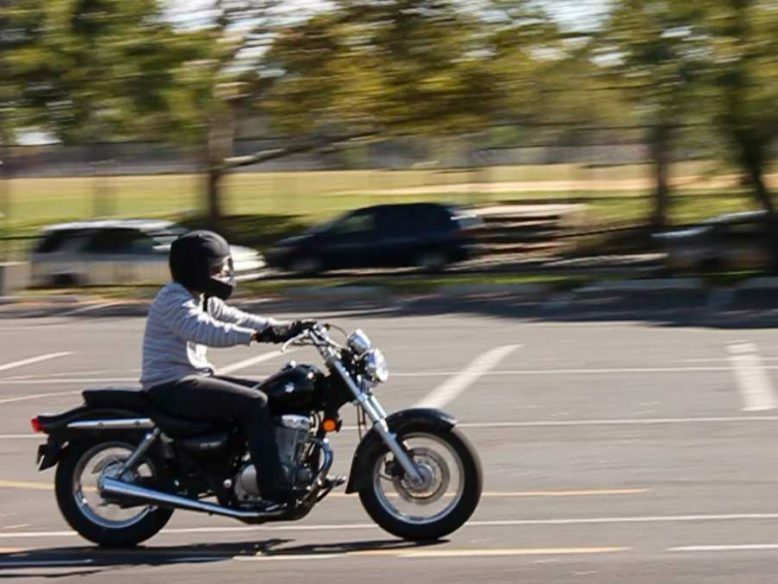 Assuming you pass your Motorcycle Riding class, you’ll still need to go get your license. It will be a little tedious — just like getting your driver’s license was — but the good news is, you’ll only have to take the written portion of the test. You will have already taken a written test in your MSF class, so the one that the DMV gives you will be a piece of cake, but you’ll still have to jump through that hoop in order to get your license. 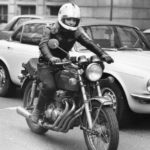 Registering your motorcycle is essentially the same as registering your car, which means it’s a mildly inconvenient but fairly straightforward. You hand over documentation that the bike is yours, cut a check, and receive your tiny new license plate. It screws onto the back of your bike, and you go home happy. The law also requires you to go through this process, and if you refuse, it makes your friendly neighborhood law enforcement officers unhappy. Failure to register your vehicle is going to turn any routine traffic stop into a much bigger hassle, though, so just go ahead and follow the law. 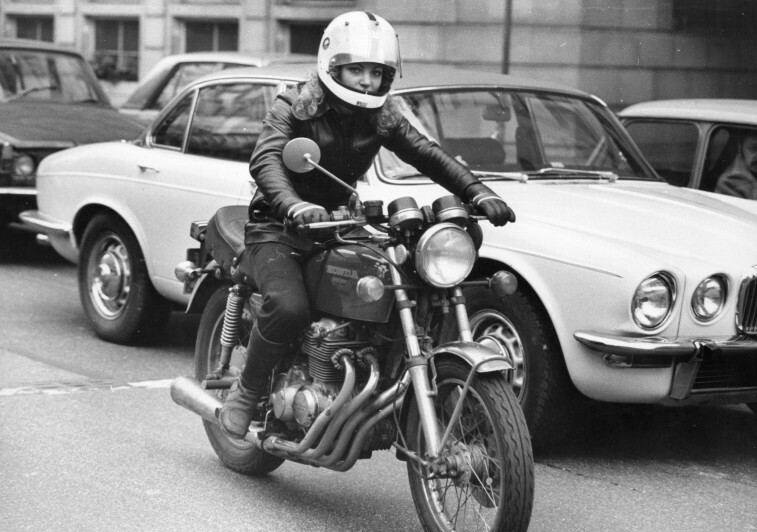 Once you have all the boring stuff squared away, it’s time to enjoy your motorcycle. In the beginning, you’re going to have fun no matter how fast you’re going, so take it slow and don’t do anything stupid. For the first six months, you should be going on short rides, getting to know your bike, and enjoying the fact that you’re now a proud, motorcycle owner. You also need to wear your safety gear every time you go for a ride. It may feel lame and be a bit inconvenient, but the spending time in the hospital after a wreck would be even more lame and even more inconvenient. While you’re riding, never forget that everyone and everything is trying to kill you, and that includes the road itself. Constantly keep an eye out for other drivers who are trying to run you over. You also need to keep an eye out for gravel and dirt that might cause you to lose traction and crash. 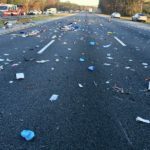 Animals on and in the road are also a big concern, and while you’ll probably come out looking better than the deer you hit, it’s never going to be pretty. 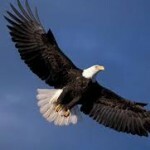 Be assertive, be careful, and most of all, be safe. Finally Resist the temptation to move up to the cooler, heavier, more powerful motorcycle. If you do upgrade go midsize and not all out. after at least a year or two from your new motorcycle. 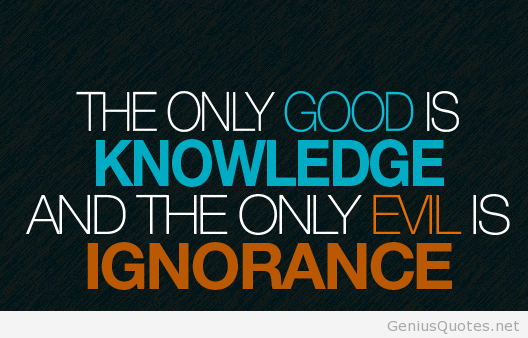 That is all the advice we have for you today. 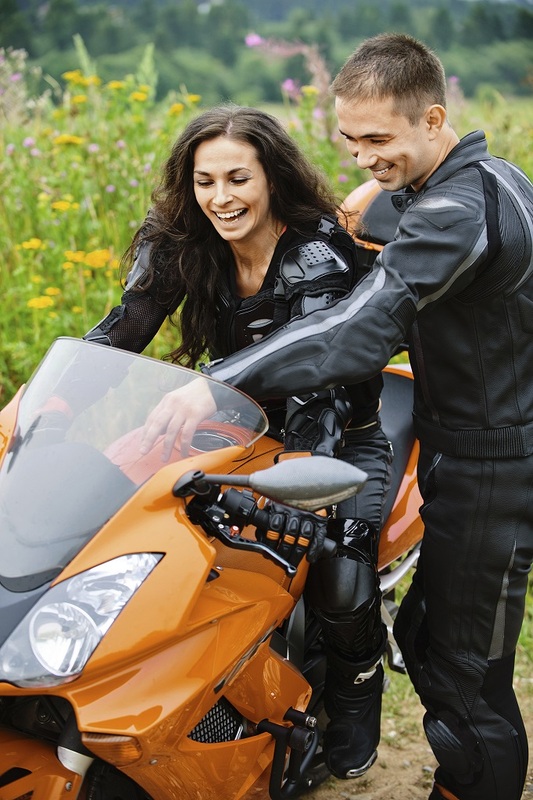 AMERiders wants to ensure you are safe when Riding a Motorcycle as well as having fun. 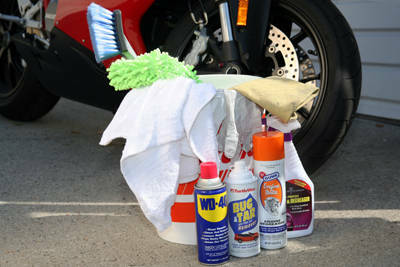 AMERiders knows how important it is to Winterize your Ride to Protect it from the Cold during the Winter months. So we offer you these tips to help keep the Motorcycle Doctor at Bay! We may not want to admit it but Winter is coming! For some of us, it is already here or will be in the next couple of weeks. As the air starts to cool off and the snow starts to fall, some of us will begrudgingly store our bikes. Then sit there tapping our feet waiting for warmer spring weather to ride again. 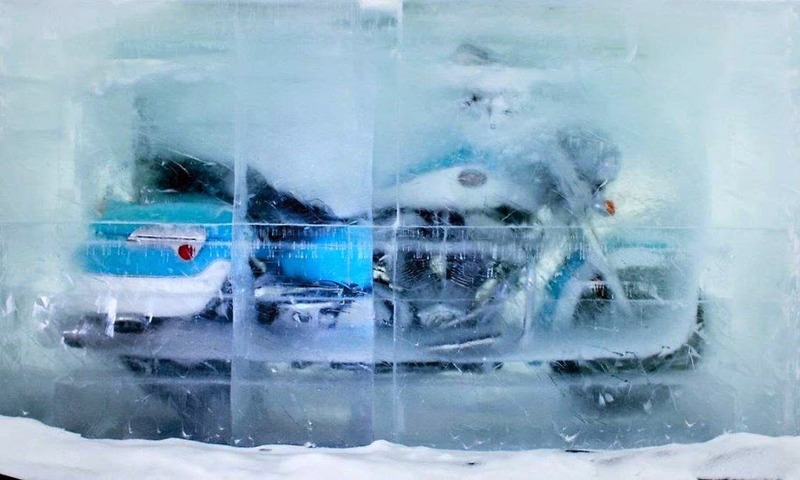 If your idea of storing your bike for winter is just throwing a cover over it, you may be in for some nasty surprises come spring time. The last thing anyone wants to find out when riding season starts is that their bike won’t start. 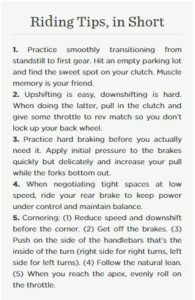 So use these tips to make sure your ride is as ready as you are when it’s time to hit the road. 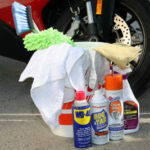 To keep your motorcycle in peak running condition, there are some thins that need to be done before storing it. Depending on what kind of motorcycle you have there may be different things you will need to address. However, there are some general things to do to get ready for storage. The main enemy during winter storage for any bike is damage from moisture. 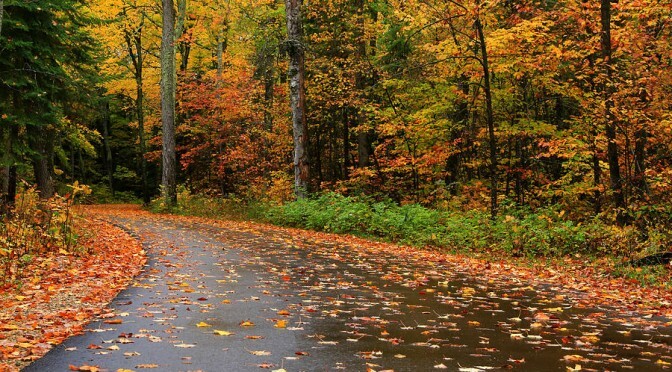 So most of our winterizing efforts will be aimed at keeping that away from your bike. In addition, the fuel system, battery, tires, and all your moving parts will get some love as well. With a little prep work, you’ll save yourself a lot of time and hassle come spring time. Plus your bike will be ready to hit the road as soon as you are! Next add a coat of wax, which will act as a deterrent and a barrier against moisture and rust. Lastly, spray exposed metal surface with WD-40 to displace all moisture (did you know: the WD in “WD-40” stands for water displacement) and to give them a protective coating against corrosion. Before Storage Change your oil and filter. Change your oil and filter. It’s better for your lubrication system to have fresh oil sitting in it for several months than to have used, broken down oil in it. Not to mention the last thing you’ll want to do when riding season begins is change the oil before you can go ride. Using a winter weight oil like 5W30 can help it start up easier come spring time as well. If you’re going to be storing your bike for a long time (4-6 months or more) you will want to protect your engine’s internals against moisture by coating them lightly with oil. You may not be able to see it with your naked eye, but the cold winter air is perfect for moisture to gather in your engine and cause rust to form on your pistons and cylinder walls. 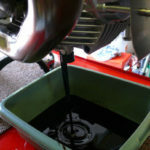 In order to do this, remove the spark plugs and put a little squirt (about a tablespoon) of engine oil into the holes, then turn your engine over a few times to coat the cylinder walls by spinning the rear wheel with the bike in gear. Once everything is coated, replace the spark plugs. Ensure that moving parts are lubed for winter, this will help keep moisture from building up on them. If not lubed they can cause rusting or binding. 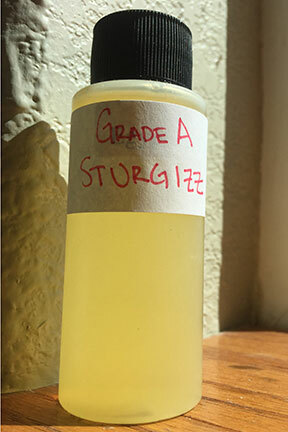 Any part of your motorcycle that needs to be lubed at any point should be lubed again before storage. Some parts to check are the chain drive, cables, controls, fork surfaces, and any other pivot points. 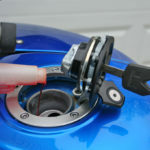 Another important step to Winterize your Ride is to prep your fuel system. Gas tanks have a tendency to rust when not in use, an untreated pump gas breaks down and becomes gummy over time. To prevent rusting and make sure your fuel is ready to run after a few months in storage, you’ll want to fill your tank completely with fuel treated with a product like Sta-Bil Fuel Stabilizer. On your last ride of the season, stop in at the gas station nearest to where you will be storing your bike and add the proper amount of fuel stabilizer, then top off the tank. 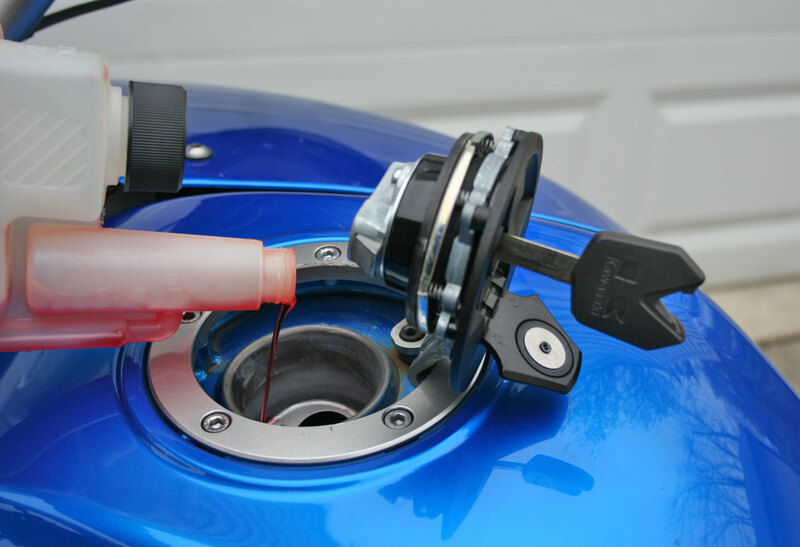 A full tank will keep moisture from building up on the tank walls, and adding the stabilizer before the short ride home will help mix the gas and stabilizer together and run it through your fuel system before storage. 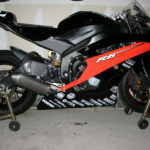 Batteries have a tendency to self-discharge when sitting over time, especially when they remain hooked up to the bike. The easiest way to combat this is to hook up a battery tender to monitor the charge and keep the battery topped off without overcharging. 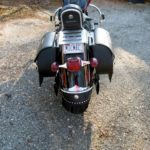 Normally you should pull the battery from the bike for storage, but with a smart tender, you can also connect the tender with the battery left in the bike. Before doing this, make sure the electrodes are clean and corrosion free; if necessary, clean them off and give them a light coating of grease. If your tires are left to sit in the same position all winter long, they could develop flat spots. Keeping the tires off of the ground will prevent this. One way to do this is with Motorcycle Stands, raise the bike up on them for storage. 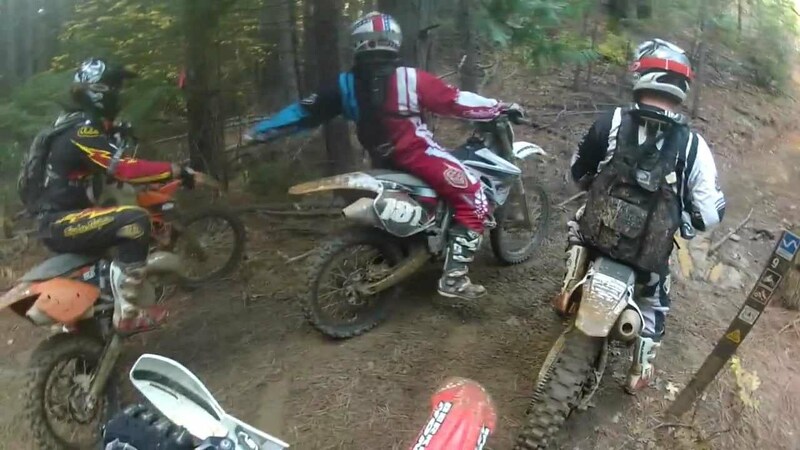 If you don’t have stands, then at least try to raise the rear tire off the ground. When that is not an option then rotate your tires by rolling your motorcycle slightly every few weeks. And If the motorcycle needs to be down on concrete, put a piece of carpet or plywood under it to keep any moisture from seeping into the tires. 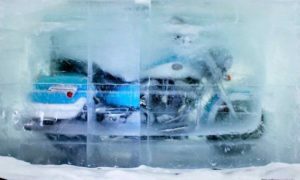 If you’ll be storing your bike somewhere that gets below freezing, ensure you have adequate levels of antifreeze in your coolant system. This is very important! If you run straight water in your coolant system and it freezes, you could come back to a cracked head in the spring! Mice and other rodents are notorious for hiding from the cold inside exhaust pipes and making homes out of air filters. If order to avoid any furry surprises when it’s time to ride again, plug up your pipes with an exhaust plug like the BikeMaster Rubber Muffler Plug. 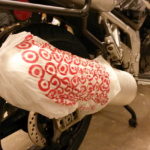 You can also simply stuff your air intake and the ends of your exhaust with some plastic bags – but do use bright colored bags or tie something to them so you don’t forget take them out when you fire up the bike! 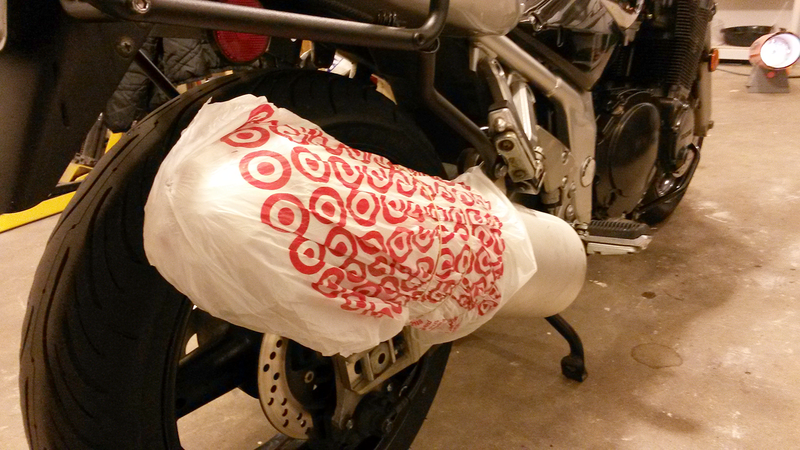 Since you have made all the preparations to Winterize your Ride, it is smart to invest in a proper motorcycle cover. 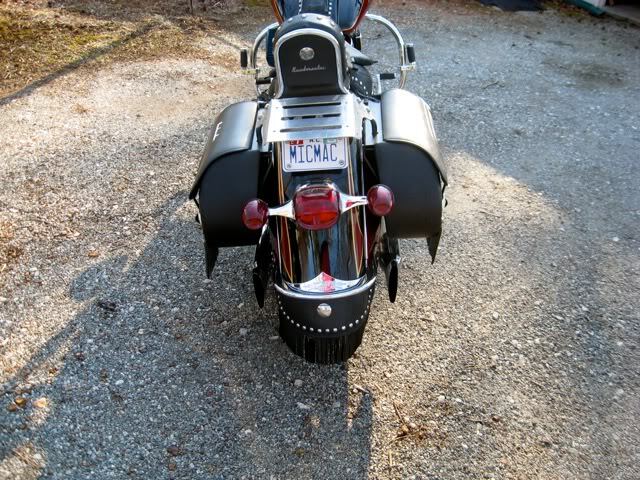 A quality motorcycle cover will not only keep dust off the bike, but will keep the moisture out so it doesn’t get trapped underneath it, and create corrosion or rust. If you’re storing it outside, be sure to get a cover with tie downs to prevent it from blowing loose in wind. If you’re storing it inside you’re in much better shape, but you should still use a cover to prevent dust from building up on it. Don’t forget Halloween is around the corner! 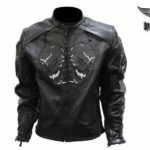 Don’t forget Halloween is just around the corner and we all know that Bikers like to dress up too. We have a Halloween Sale going on from 10/6-10/21/2016 (keep and eye on the ticking clock above as it is counting down to the 21st). 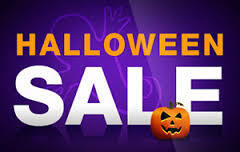 AMERiders is bringing spooky savings to you, on various items that are of the spooky nature. Look for our skeleton, ghosts, and or skulls as well as this ( ** On Sale for Halloween until 10/21/16** ) tag above the product description. Items have been taken from all over the site Apparel, Headwear, Helmets, and much more. We would like to thank all of you that are taking advantage of the savings we are offering in the store. If you haven’t taken advantage of it yet please go and check see what we have to offer you, and look for the ** On Sale for Halloween until 10/21/16** sale tag. Let AMERiders be your spot for information on how to Winterize your Ride. 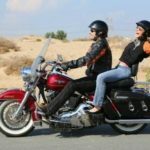 It’s sometimes more fun to ride with someone than by yourself, we at AMERiders love riding a Motorcycle with A Passenger and offer up some safety tips to help make the ride safe and enjoyable for the both of you. 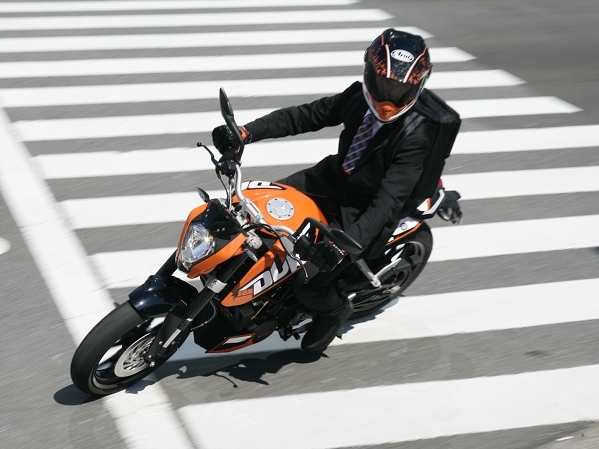 Riding a motorcycle solo requires balance and control. 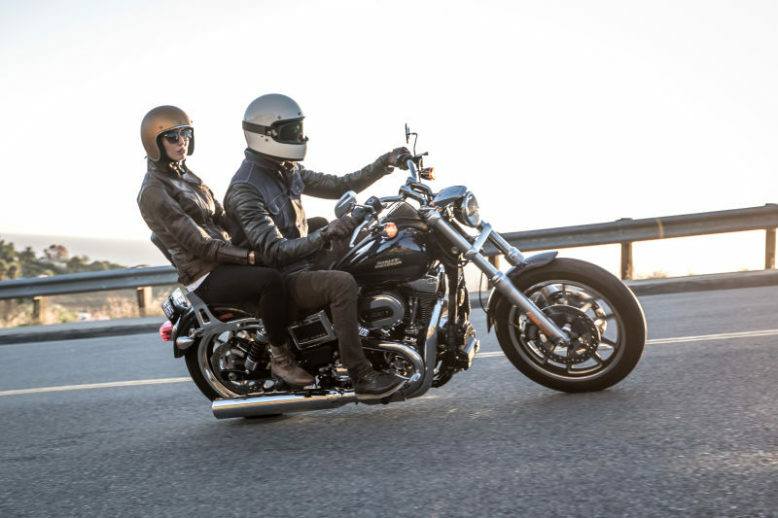 Riding a motorcycle with a passenger means you’ll master those skills. 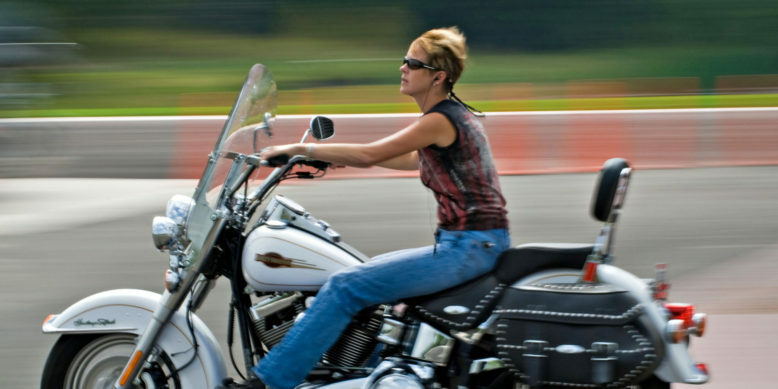 Generally, as a woman rider, your passenger’s weight will more than likely be greater than your own. 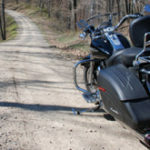 If you’re already operating a heavier motorcycle such as the Harley-Davidson CVO Streetglide, you’ll need to be entirely confident in your abilities before taking a passenger. However, giving friends and family members rides on your motorcycle can be rewarding and fun as well. Some motorcycles such as sportbikes are not comfortable or designed well to carry passengers. And many motorcyclists simply never bother to develop the good skills needed to host a passenger. Ensure that your passenger is geared correctly. First Time Passenger Must be a Motorcycle Rider: It is the best practice to ensure your first passenger is an experienced motorcycle rider. So ask your friend/family member to meet you in a large parking lot (don’t head out on a busy city street with your first time passenger) to help you practice. Your first few miles with a passenger will likely be sloppy as you try to balance the additional weight and inputs at slow speeds. 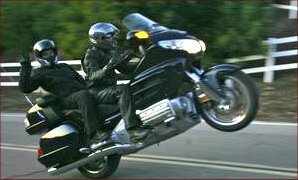 An experienced motorcycle rider as a passenger can anticipate your moves and knows already about the protocol a good passenger makes. 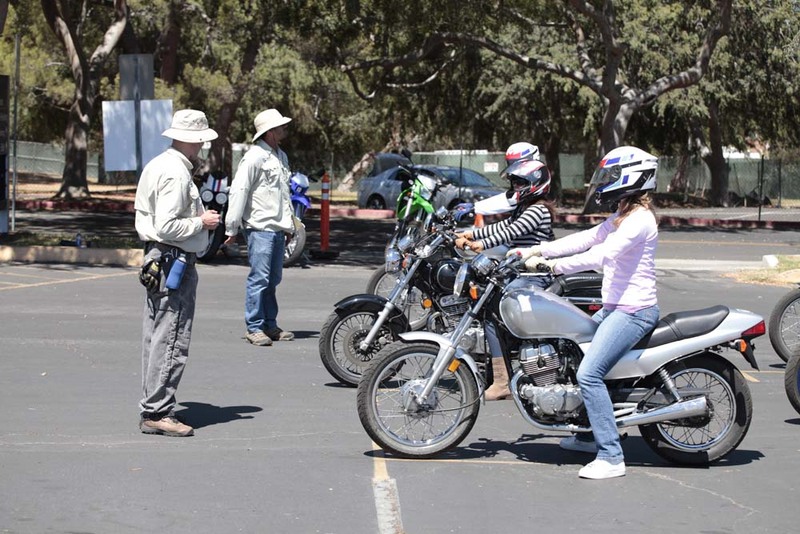 First Step Pre-Ride Passenger Briefing: Before your passenger climbs onto your motorcycle, ensure they understand the importance of the gear you have helped them to acquire if you haven’t already. 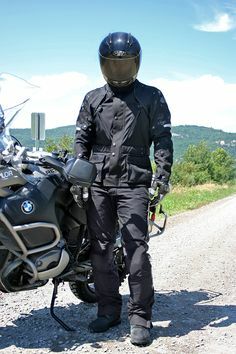 Gear such as a certified full face helmet (or helmet with visor) which fits; sturdy jacket made of leather; gloves, sturdy pants/ thick jeans; sturdy boots covering the ankle and protective eyewear against the sun. 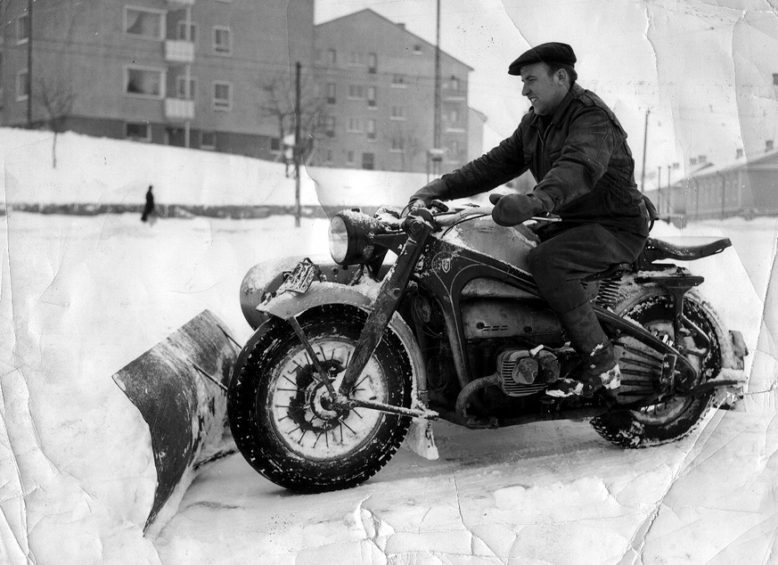 Make sure they are dressed for comfort no matter what conditions you’ll be riding in. 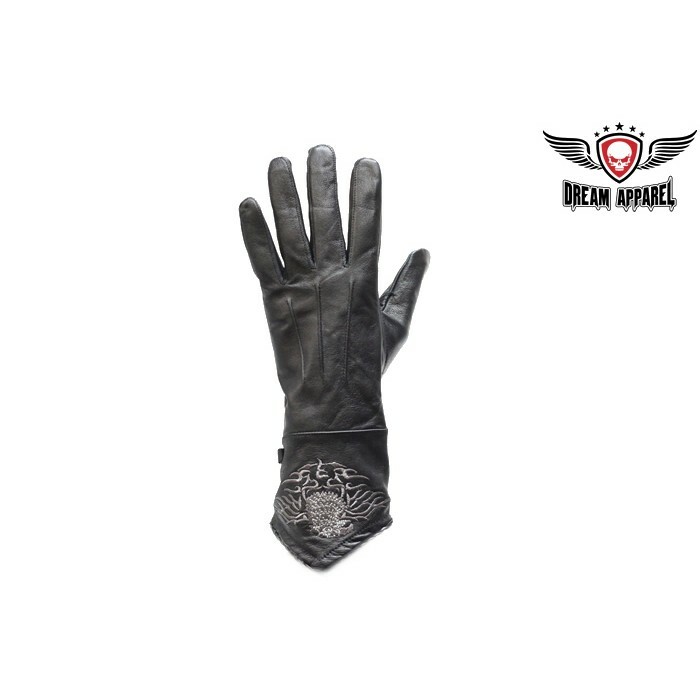 Do not take a passenger without this gear – their safety is in your hands every time you ride. Brief your passenger on riding motorcycle. While they are on your motorcycle, if they want to slow down or stop for any reason, you’ll do so. 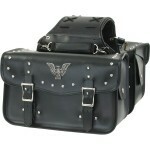 Devise a signal such as a tap on your right shoulder in the case you might not hear them. As the pilot, you control the bike and your passenger controls you. Explain that you have no intention to frighten them while riding with you but in fact, you want them to have the best experience possible. Climbing on or off. 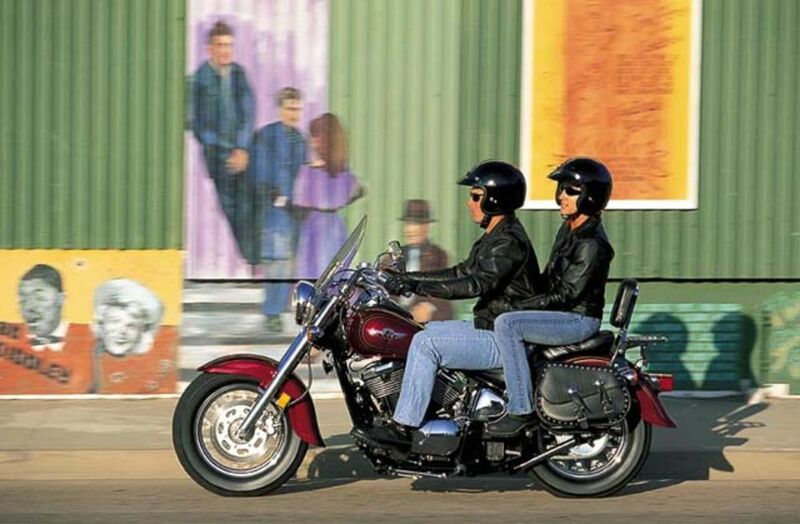 Ensure your passenger agrees to the following: They agree to get on and off the bike only at your permission, and only while you are on the bike, and when you say “ready” or give the “ok” nod. The same is practiced when you are ready for them to dismount. Inform them that you but that no matter what happens while moving, their feet are to stay on the passenger foot pegs (or floorboards) and never try to touch the ground with their feet to try to hold up the motorcycle. Inform them that in an emergency situation and hard braking their weight will come into yours and that is A-OK and normal. You are prepared for that to happen. Instruct them to sit close to you and that this is best for the motorcycle too. Inform your passenger that a motorcycle leans to turn. If they’re confused about this or often scared, just have them focus their eyes at the center of the back of your helmet. 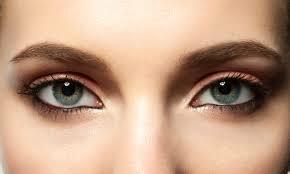 This will keep their body position upright and in line with yours. 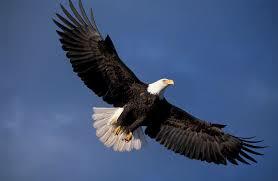 Instruct them where to hang on and to hang on at all times to you. You may have to adjust your motorcycle shocks and your tire pressure for load, the same as you would when carrying cargo. 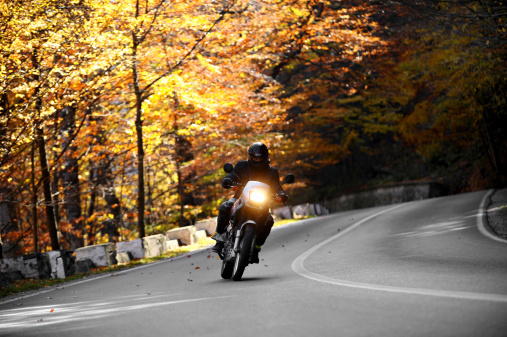 Refer to your motorcycle owner’s manual and make the necessary changes. Deploy the usually hidden passenger’s footrests/pegs; show the passenger this is where their feet will be positioned. Pull on the front brake and keep it applied as the passenger climbs on to ensure the bike doesn’t move or shift. Once underway, expect that as you slow the motorcycle to a stop, this will be the time the passenger moves around and makes adjustments. This will challenge your slow speed control, skills, and help you to master, them! 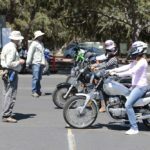 Your Job as Passenger Host: Your task isn’t to give your passenger the ‘ride of their life’, it is to be responsible and ensure that your passenger and your motorcycle is as safe and that they feel safe and as pleased as possible with the riding experience. 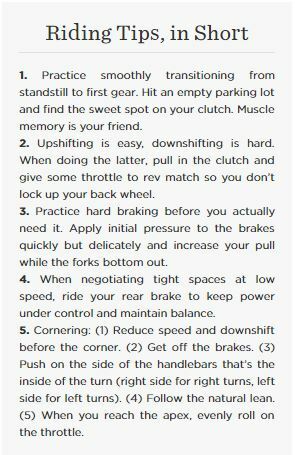 Ensure your Gear shifts are smooth to the point of the passenger does not even sense the shift has occurred. If their helmet is knocking into the back of yours, you’re not shifting smoothly. When you move off from a stop aim for such smoothness that the passenger’s never quite sure that we have started to move. The same for a stop. Smoothness all around. The following are the areas for practice and ensure you’re comfortable before you take out your real first-time non-motorcycle experienced passenger. 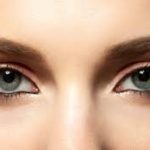 During the practice you will a likely experience awkward jerky movements including balancing wobbles – don’t sweat it – it’s all part of developing the skill. -Backing (with the engine off) – important practice required for parking situations. -Slow speed turns especially right turns. -Although riding with a passenger can change your solo riding experience, it is something you will truly enjoy sharing with a friend or family member. Have fun and remember, don’t take a passenger on your motorcycle unless you feel you are absolutely ready. 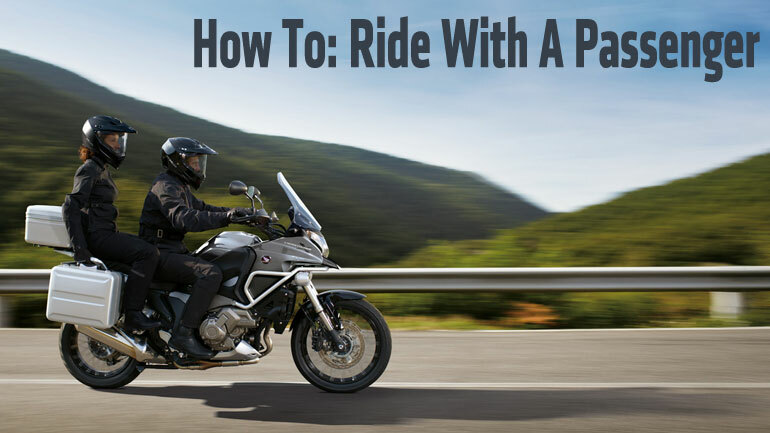 Let AMERiders bring you the tips and tricks to riding a Motorcycle with A Passenger. 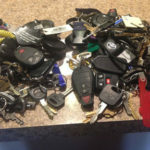 There are many weird things that are lost or left behind at the Annual Sturgis Rally each year, either intentionally or by accident if you are one of these people AMERiders can help you replace these some of these items. 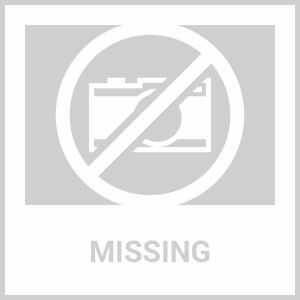 You may be thinking that it just may be small things like bandannas, lighters, and maybe a jacket or other items that get lost or left at Sturgis, well that is just not true. 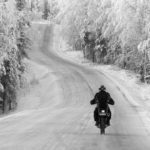 Each August for the past 74 years, save for a couple during World War II, bikers from around the globe have motored to the mecca of motorcycling – the Sturgis motorcycle rally in the Black Hills. These rally goers tour the scenic highways, stop at Mount Rushmore National Memorial, cruise past the free-roaming herds of bison in Custer State Park, and speed by the towering waterfalls of Spearfish Canyon. At night, rally-goers test the taps at many a Sturgis saloon and sway to the tunes of top-name musical acts at several entertainment venues, and leave a trail of items in their wake. The Buffalo Chip Saloon even has posted some of the weirdest things that have been left behind. Here are just a few items of what they have listed before. 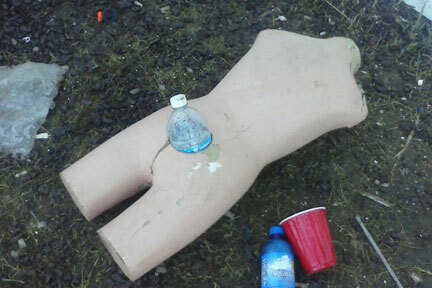 Some of these things are typical things you would find left behind after a rally others well you have to wonder what the heck were they thinking? Maybe I just don’t want to pack it up, or I’ll buy a new one when I get home. Harley Davidson’s – How can you just leave your Harley at a Rally? These the Chip also had pictures of, and we thought it would be fun to post them here for reference as to the weird things that can get left. 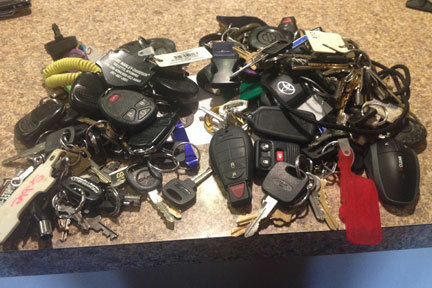 Tons of keys — now you would think that if you just drove your motorcycle to the rally all you would have is your bike keys. How do you start your bike without its keys, or the car or motorhome for that matter? 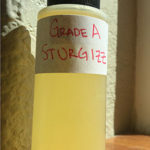 A bottle of STURGIZZ?? — Ok, we don’t know what this is and the Chip didn’t elaborate either. However, if you are gonna name it, don’t leave it behind lol. On the other hand, We had ideas on what it might be but we will leave that to your imagination. Apartment furniture — We guess that Sturgis is as good a place as any to build your home. However, what we would like to know is where are the 4 walls, floor, and ceiling? Not to mention the plumbing and lighting that you would need as well. 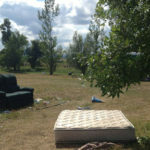 If it is to be an outdoor apartment still there are items missing you might need. They didn’t know what this was and were quite shocked by it, but stated if it went unclaimed, it would be sold to the highest bidder. 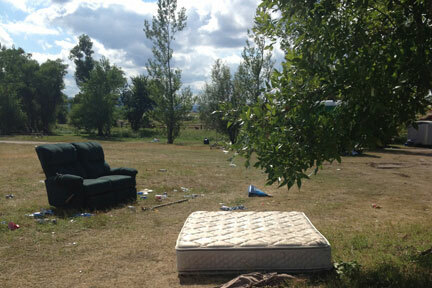 If you left anything at the rally either intentionally or by accident then we can help you replace it. 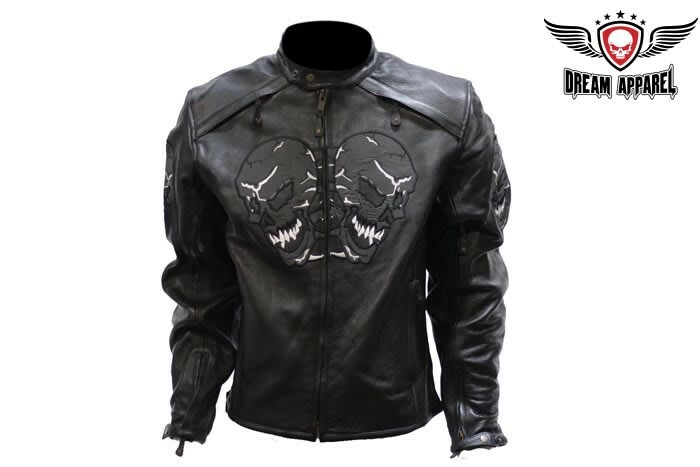 We have a large selection of Motorcycle Apparel and Gear available at reasonable prices. Now we can’t help replace items like the ones above but we do have a list of items that we can replace and much more. We would hope that one would not leave their helmet behind especially since there are some states that have helmet laws. 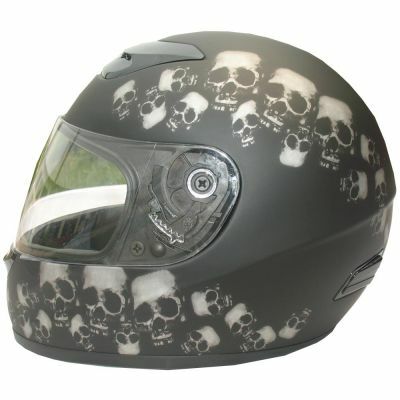 AMERiders has a huge selection of SNELL and DOT approved biker helmets from top brands. 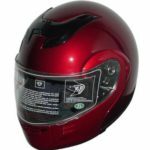 We have full face helmets, as well as modular, open face, and even half shell helmets for every biker including motocross helmets and youth helmets as well. Helmets like this DOT Full Face Skull Pile Motorcycle Helmet seen to the left. So if you lost or left your helmet behind let us help you replace it. 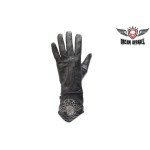 Whether it was your leathers, a pair of gloves, Headwear or another piece of biker apparel we have you covered. 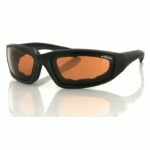 AMERiders carries premium motorcycle apparel for men, women, and kids to help protect from nasty spills and the outside elements. Lose your favorite chaps? 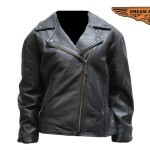 We have you covered as we have a large selection to choose from for men and women. Did you lose a saddle bag? Tool bag or Cupholder go missing? Regardless of the gGear, your bike left Sturgis without we can help replace it. AMERiders gives bikers a variety of motorcycle luggage, bags, and other accessories to add some style to your bike. 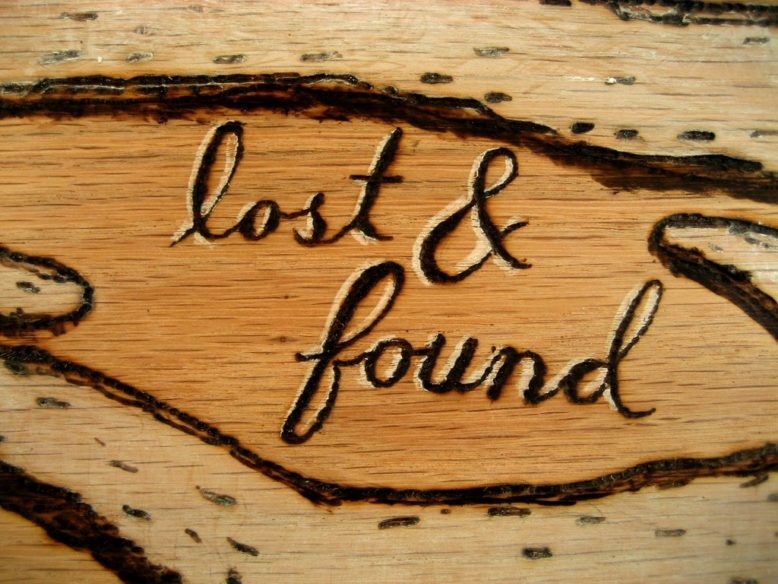 If you lost something at Sturgis or left it there on purpose, check and see if we have it an item that will help replace it for you. 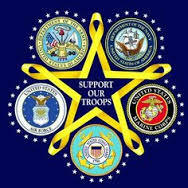 We are always ready and waiting to help our brothers and sisters. 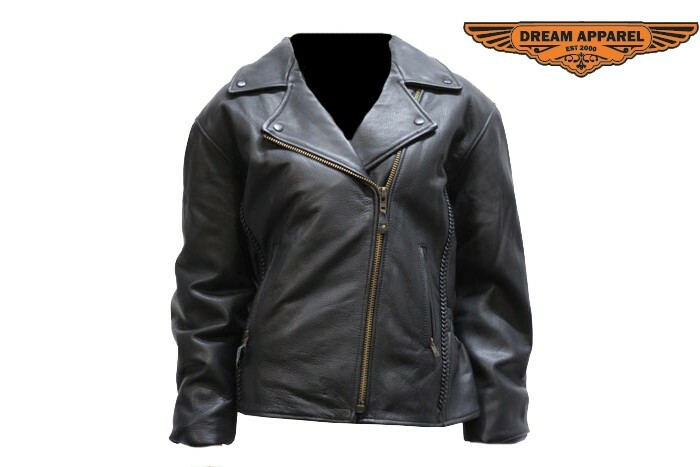 Let AMERiders help you replace anything that was Left Behind at Sturgis. Today’s post won’t be a very long one as we at AMERiders want to remind all our brothers and sisters to be careful on the ride home and to stay safe with Sturgis winding down this weekend. First of all the rally is not over by a long shot there are many events, concerts, and a ride scheduled before the end of the rally on Sunday, August 14th. While riders have come and gone throughout this annual get together people are still arriving just to ensure they can say “I went to Sturgis”, even if it was for one or two days. So, what is left to see and do as Sturgis is Winding Down until the final call on Sunday? 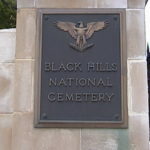 Following the Memorial Ride to Black Hills National Cemetery, there will be a Memorial Service at Black Hills National Cemetery, August 13, 2016, at 1:00 pm conducted by Rolling Thunder Inc, SD Chapters 1 & 2. 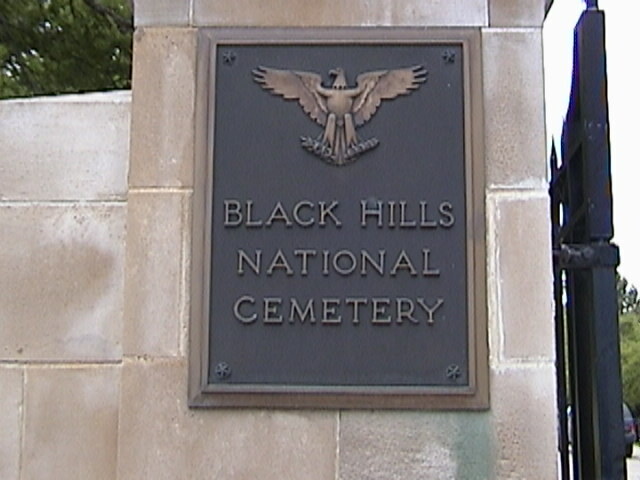 The Location of the Black Hills National Cemetery is 20901 Pleasant Valley Drive. There are tons of concerts going on across all venues in Sturgis. 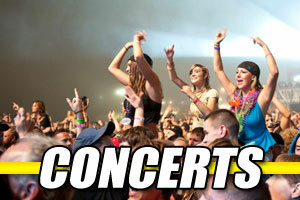 Below are just a few check out the Concerts Page for an actual list of who is playing where. As you can see with Sturgis Winding Down it may not seem like it is, with the tons of concerts left, and the tons of things to see and do that aren’t even listed here. However, after all, is said and done the only thing left is the ride home. With that said please if you are riding home from Sturgis be safe, as we at AMERiders want all our brothers and sisters to make it home from Sturgis safely. AMERiders wants all our brothers and sisters to be careful riding home with Sturgis winding down this weekend.